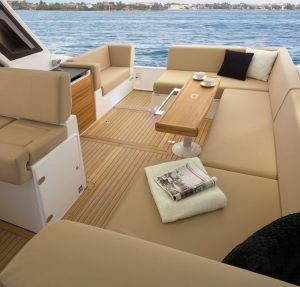 The S380 is an award winning boat, it’s a class leader and an innovator. 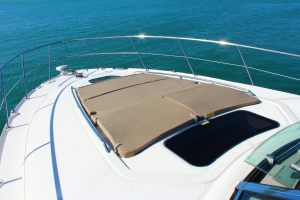 The space is evident from the moment you walk onto the large swimming platform. 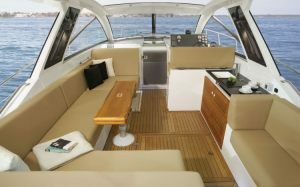 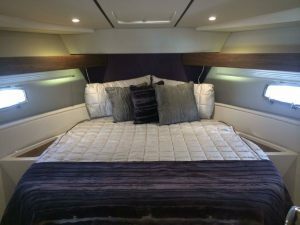 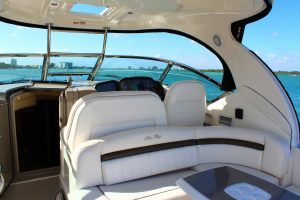 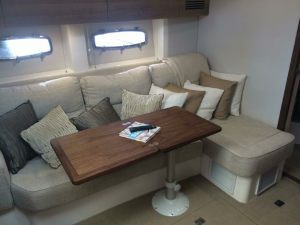 The 40′ Sealine Yacht Charter further captures your imagination with the large convertible cockpit roof, opening up or closing off the cockpit. 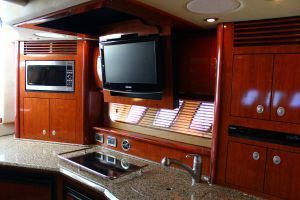 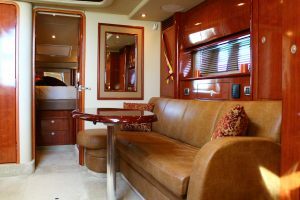 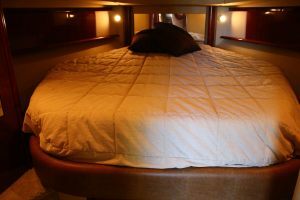 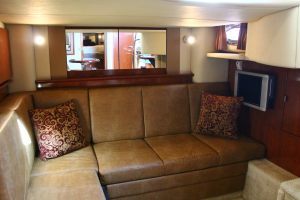 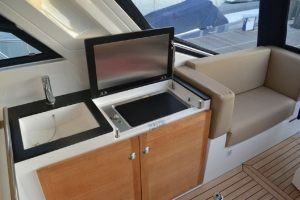 The lower accommodation has maximized the use of the space creating simply a wonderful family boat. 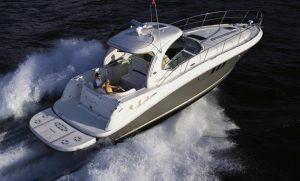 Sealine celebrates 40 years with the limited anniversary edition S380. 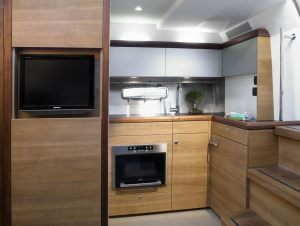 Produced in a strictly limited production run of 20, the striking white roof, brown pillar and stone hull exterior combined with the natural elements of driftwood and smoked oak, diamante taupe and ivory leather interior, is a unique instant style statement.